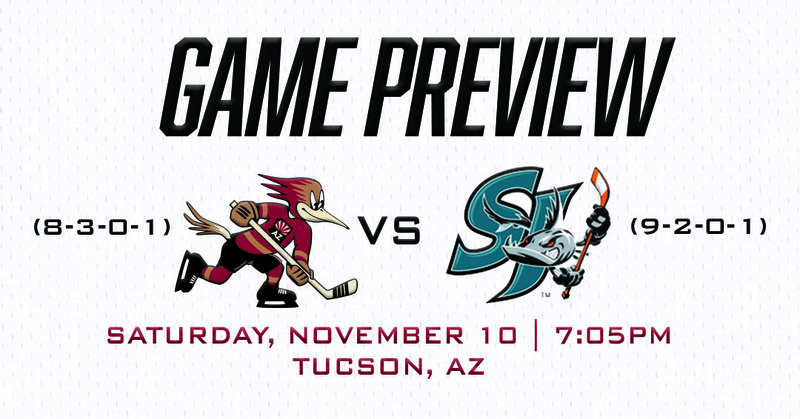 Following what was arguably their most powerful, most dominating win of the season Friday night, the Roadrunners reconvene with the San Jose Barracuda tonight at Tucson Arena for the finale of the weekend’s two game set, the third of eight scheduled meetings between the clubs this season. Merrick Madsen’s first AHL shutout was also the first one the Roadrunners served an opponent this season, and the first one the high-scoring Barracuda suffered. San Jose had not been held to less than two goals in any of its previous 11 games. The Roadrunners are 2-2-0-0 this season with zero days rest when playing the second halves of back-to-back sets. With Friday’s win, the Roadrunners cut the gap separating them from the top of the Pacific Division, which the Barracuda have held for most of the year. Currently sitting at second-place with a .708 points percentage in comparison to San Jose’s .792, the Roadrunners can claim first-place with a regulation win tonight. KEMPE’S CRUISING: In registering a team-high three points (3A) Friday night, Mario Kempe now has nine (3G, 6A) in just six games played with the Roadrunners. He is averaging 1.5 points per game since his assignment from the Arizona Coyotes on October 25. Kempe, during the first round of last year’s Calder Cup Playoffs against San Jose, put up six points (4G, 2A) in the Roadrunners’ series win over the Barracuda. SPECIAL PERFORMANCE: With two power play goals and stubborn denial on the penalty kill Friday night, the Roadrunners’ special teams put forth its best performance of the season. In killing off all four of the Barracuda’s power plays, the Roadrunners climbed out of the basement in the penalty kill department, improving to 30th in the league with a 73.6 kill percentage. The Roadrunners improved to 12th overall in home power play record, and have now executed on seven of 33 man advantage situations at Tucson Arena, a 21.2% success rate. 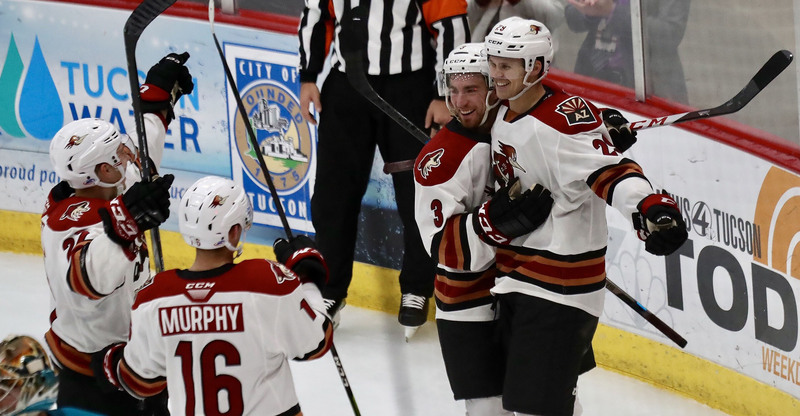 HOME COOKIN’: The Roadrunners improved their home record at Tucson Arena to 4-1-0-0 on Friday night, and with a combined 24 goals scored in five games as hosts, are averaging 4.8 goals when playing locally. They’ve held opponents to a combined 15 goals this season in home confines. SEVENTEEN: The number of points forwards David Ullstrom and Mario Kempe have combined to score since joining the Roadrunners’ roster. The veteran Swedes have been monumental in the team’s success. Ullstrom is scoring at a point-per-game pace with eight (5G, 3A) in eight games, Kempe well over that median with nine points (3G, 6A) in just six games.